In order to provide both government and business customers with all-inclusive IT solutions, RED SOFT specialists tested the compatibility of the operating system RED OS 7.1 MUROM Server with the virtualization environment of Rosplatforma. Test environment for the operating system RED OS 7.1 MUROM Server was built as a hyperconvergent platform based on "R‑Virtualizatsiya" and "R‑Khranilishche" products. We tested and checked the compatibility of the platform and the operating system running as a guest. An instance of the operating system REED OS 7.1 MUROM Server deployed in the test environment successfully passed tests of all functions: from installation to test operation of the integrated solution within two months. Interoperability and joint deployment and functioning ability have been confirmed. "At the moment RED SOFT extensively develops a partnership program. Particular attention is paid to technological interaction, which is facilitated, among others, by membership in the Committee for Software Integration under ARPP "Otechestvenny Soft". Successful cooperation with Rosplatforma experts proves that the domestic IT market is ready to offer productive import-independent solutions. We will continue to work in this direction," - Rustam Rustamov, Deputy CEO of the RED SOFT says. "Combining the products of Russian developers into mutually complementary "import-substituting bundles" to strengthen the country's digital sovereignty is an important trend of the modern Russian IT market. The process of interaction between Rosplatforma and RED SOFT specialists showed that the most advanced technologies can be created and work together in our country," Vladimir Rubanov, Managing Director of Rosplatforma, commented on the cooperation of the companies. Based on the results of the work conducted, the software manufacturer RED SOFT and Rosplatforma recommend their products for joint use in business institutions, government bodies and defense industry enterprises as a basic system and application software. The server virtualization system "R‑Virtualizatsiya" includes a hypervisor with a graphical management interface, support for high availability and live migration of virtual machines and other functions required for industrial applications. The distributed storage system "R‑Khranilishche" allows you to build a fault-tolerant, implemented virtually using software, corporate-level storage based on standard x86 servers with HDD on board, that can replace classic SAN and NAS systems. 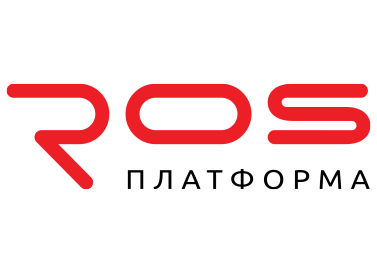 Rosplatforma is a Russian manufacturer of server virtualization software and distributed data storage software - the basis for building virtually implemented and hyperconverged IT infrastructures, private and public clouds. Rosplatforma solutions are listed in the Register of Russian Software of the Ministry of Communications of the Russian Federation; they are based on world-class technologies which are successfully operating millions of virtual computers and store hundreds of petabytes of data around the world.